Jesus said, "Go and make disciples." One of the most effective ways to create disciples is by planting local churches in Mozambique and throughout Africa. Jesus said, "Go and make disciples." One of the most effective ways to create disciples is through the local church. Since 2007, Africa On Fire has planted 20 churches: 1 in Johannesburg, South Africa, and 19 throughout villages in Mozambique. The goal is always the same: discipling disciples who disciple who disciple. Through this intentional style of followup and relationship, a cycle of discipleship is created. 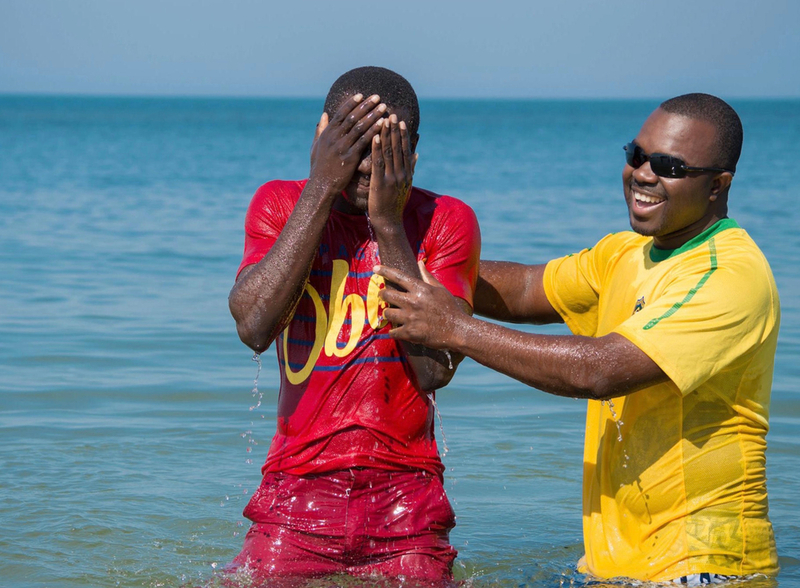 The result is powerful: local churches filled with grounded believers who are going deeper in their relationship with God, who carry Kingdom influence in their communities, and who are bringing change in Mozambique. Africa On Fire works to establish a culture of the Kingdom in every village and community we have influence in through outreach. Africa On Fire was birthed in an atmosphere of revival, and we continue working to establish a culture of the Kingdom in every village and community we have influence in. Village Outreaches are primarily done in the Gaza province, an area in southern Mozambique that is largely unreached by the Gospel. Outreaches typically include visiting and encouraging the local church and going from house to house praying for healing and salvation. We monthly hear stories of amazing miracles through this outreach! Africa On Fire also provides practical help to families in need by distributing food. Crusades are held up to twice a month, usually in unreached villages. Lasting 3-4 days, Crusades are times of powerful worship and preaching. Every time, the Holy Spirit moves powerfully and we see miracles, healing, and salvations. Out of these Crusades, we see existing churches grow and in places there is no local church, we identify local leaders and start a community of believers. Pastors Conferences take place once a year, when we gather the leaders of local churches through Mozambique for a time of teaching, encouragement, refreshing, and vision. We invite pastors and speakers from around the world to come for this special time to invest in the future of Mozambique's local churches. Center of Hope is a safe haven for orphans in Gaza and Inhumane Provinces, and is a labor of love that will be finished in 2021. Center of Hope has been a labor of love and a testimony of God's faithfulness for the last several years. It is located on 72 acres of land donated by the Mozambican Government in Chibuto, Mozambique. Currently on the property are temporary structures to house visiting missionary teams and local staff. Upon completion there will be 12 gender- and age-specific homes called Houses of Hope. Each house will be home to 14 children and 2 house parents. The land also supports a garden with fruits and vegetables to not only feed the orphans, but be a blessing to other local children and families as well. This will allow the Center to be completely self-sustaining. We are currently projected to complete Center of Hope by 2021.